This site is a dedication to Geologist, Palentologist and Author Dougal Dixon's three books. 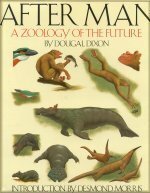 In "After Man" Dixon takes a look at life on Earth 50 million years after man has destroyed the planet. 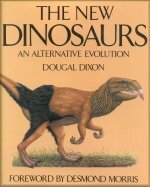 In "The New Dinosaurs" Dixon ask the question: What if the dinosaurs never ever became extinct? Then procedes to show us what the new beast would like. 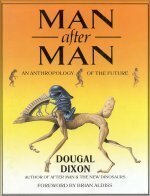 In "Man After Man" Dixon takes a very controversial look at Our future.